Innovative method for laser lithotripsy of all urinary stones in the entire urinary tract. Minimum invasive procedure that last for an hour. In most case patients are back home the same day. Precise procedure under direct monitoring. 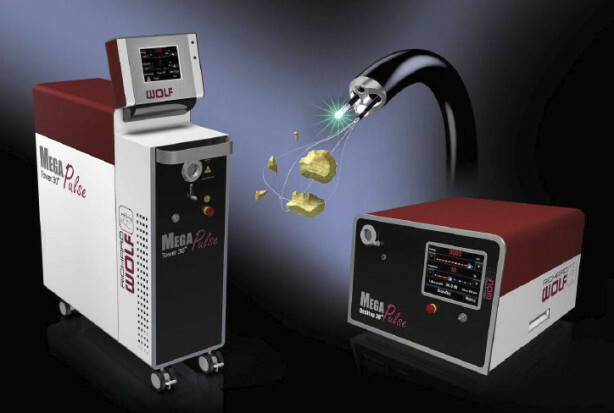 The laser affects the stone directly without emitting unnecessary energy like in other ultrasound and mechanic procedures which damages the tissue. Small parts do not remain in the urinary tract but are evacuated during the procedure.-Difficult to access concrements can be treated with flexible optical systems. Clinical researches among physicians and patients show a very high satisfaction regarding results and recovery period. This method is the perfect solution for patients that want to avoid the operative treatment and are looking for minimum invasive procedure. It is also appropriate for patients that underwent several outer procedures with insufficient outcome or in cases where the stone could not be destroyed.